Welcome to Hanck Nursery - In Business over 20 years! We are wholesale growers of superior tropical interior foliage plants. At Hanck Nursery we pride ourselves on quality and service. We are certified for Arizona, California, Louisiana, Mississippi, and Texas. Click Here for Current Plant Availability. 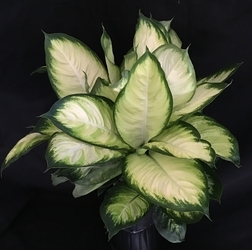 We offer many premium interior plants, such as 14 varieties of Dieffenbachia, 9 varieties of Anthurium, 9 varieties of Philodendron, and 3 varieties of Strelitzia, including 4 different pot sizes of Strelitzia Nicolai (White Bird of Paradise) just to name a few. Come see us today. We can help you turn any interior space into a paradise! 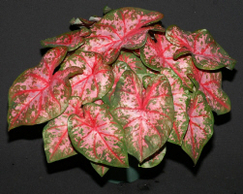 We are proud to be one of the few South Florida growers offering Caladiums.